Indeterminate maniraptoran theropod BEXHM 2008.14.1, posterior cervical vertebra, in right lateral view. Sauroposeidon cervical vertebra 8 for scale. This vertebra is described in seven and a bit pages, which means that it’s had nearly three times as much total coverage as Jobaria (Cf. Sereno et al. 1999). Still, we can hope that Darren and Steve will return to their specimen some time and monograph it properly. 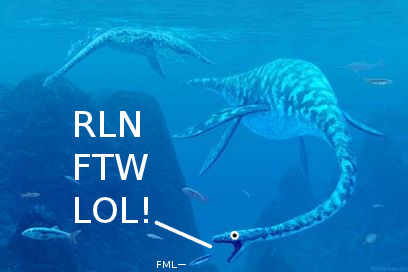 In the mean time, read all about it over on Tetrapod Zoology. On Tuesday morning, a rather nice article about our recent sauropod-necks-were-not-sexually-selected paper appeared on the BBC web-site. At the time of writing, it’s just topped 100 comments (athough fifteen of those are by me — I wanted to respond to the questions that people were asking). As Senter himself recognized, available samples of sauropod taxa are unfortunately not large enough to demonstrate bimodal distribution of morphological features within any sauropod species. But I wonder if we realise just how true this is, and how blind we are flying? How very far short we are of being able to do any kind of statistical analysis on sauropod necks. How many complete necks of a given sauropod would we need in order to demonstrate a bimodal distribution of, say, length? (That is, to show that the necks mostly fall into two separate buckets, a short-necked group and a long-necked group of which one is presumably male and the other female.) I don’t know enough about stats, but this article at least suggests that you’d need thirty or so before you could be confident that you were seeing something statistically significant. And how many sauropod species do we have thirty complete necks for? All right, then how many do we have ten complete necks for? OK, how about just two necks? The answer is: not many species. Off the top of my head, I think complete necks are known for Camarasaurus lentus (Gilmore 1925, one specimen), Mamenchisaurus hochuanensis (Young and Zhao 1972, one specimen), Shunosaurus lii (e.g. Zhang et al. 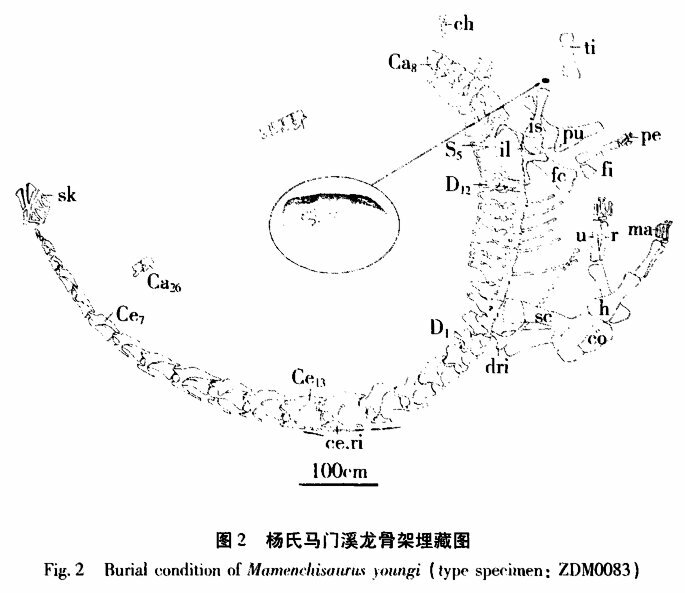 1984; probably multiple specimens but the paper is in Chinese so I don’t know for sure) Mamenchisaurus youngi (Ouyang and Ye 2002, one specimen, I think), and Spinophorosaurus nigerensis (Remes et al. 2009, one specimen). So anyway. We have very, very few complete sauropod necks. Let’s, for now, ignore the fact that the scapula seems to articulate with the base of the neck rather than the torso. We can all see that there are fifteen cervical vertebrae, right? [Diplodocus carnegii holotype CM 84] has been entirely freed from the matrix and is found to consist of the right femur and pelvis complete except for the left ilium, which is for the most part wanting, right scapula and coracoid, two sternals, eighteen ribs and forty-one vertebrae divided as follows: fourteen cervicals including the axis, eleven dorsals, four sacrals, and twelve caudals. These vertebrae are for the most part fairly complete, though unfortunately the sacrals and anterior cervicals are more or less injured. This series of forty-one vertebrae are believed to pertain to one individual and to form an unbroken series from the axis to the twelfth caudal, although as was shown in a previous paper, there is some evidence that there are perhaps one or more interruptions in the series and that one or more vertebrae are missing. On the other hand, as will appear later, it is not entirely impossible that at least one vertebra of this supposed series pertains to a second individual belonging perhaps to a distinct genus. Hey! That’s not what it said in the brochure! 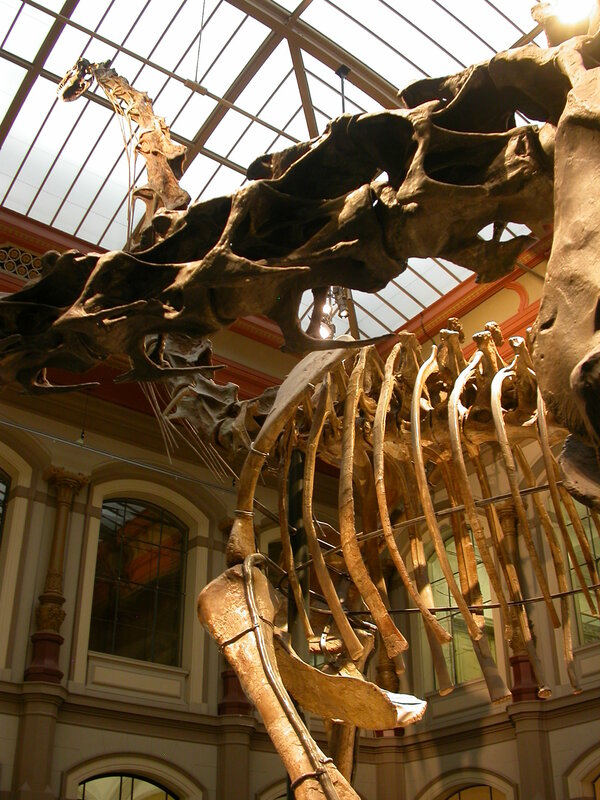 So, as it turns out, our conclusion is: Diplodocus carnegii had fifteen cervicals, or more, or maybe less. Well, the presacral vertebrae of that mount are not real bone, nor even casts, but they are very good sculptures based on real bones. However, the real bones that they’re based on are those of two specimens — the lectotype SI and paralectotype SII. The former includes cervicals 2-7, and we can be confident about that because C2 in sauropods is very distinctive, having a completely different anterior articular surface from all the other cervicals; and the latter includes cervicals 3-13 (although many of them are damaged). The vertebrae from the 3rd to 15th presacrals [of SII] lay in articulation in a consolidated lime sandstone lens; of them, the 3rd to 5th vertebrae are tolerably complete, the remaining 10 vertebrae were articulated with one another, with one interruption that arose when the 8th presacral vertebra rotated out of the series and was displaced. So might there have been other displaced cervicals, before and/or after the “8th”, that were not recovered? And can we be confident that the anteriormost cervical of SII really is C3? Why? Because of the overlap with vertebrae of SI? But we’re not even certain that SI is the same species as SII. 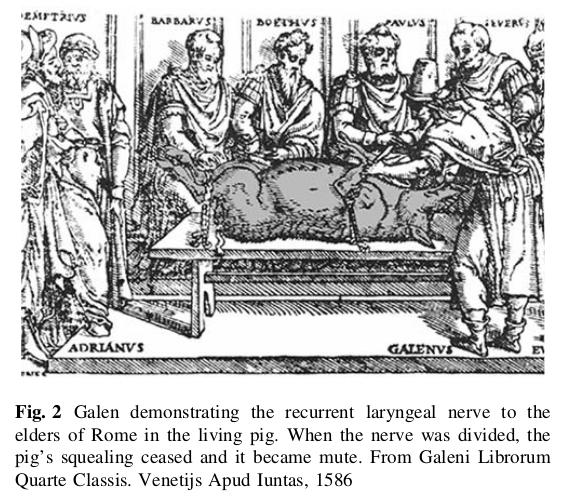 Maybe the anteriormost preserved cervical is really C4? Maybe some of the “SII” cervicals really belong to SI? 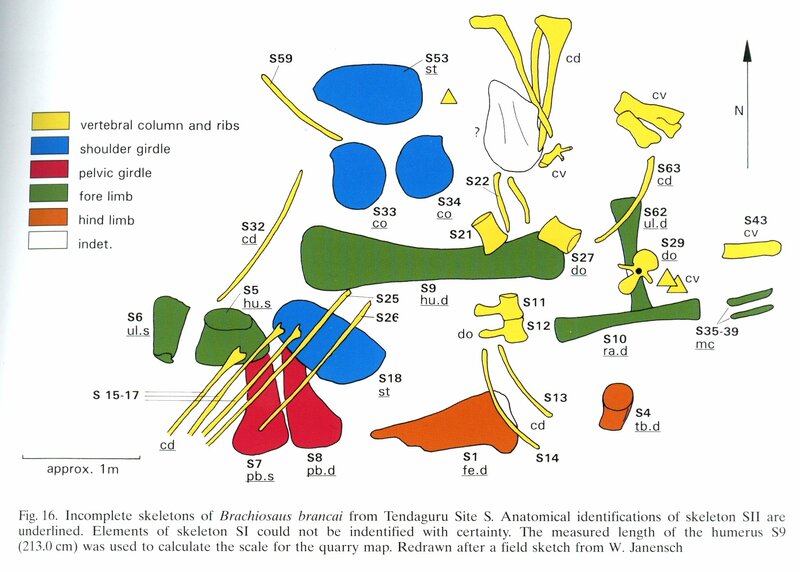 So all in all, our conclusion is: Giraffatitan brancai had thirteen cervicals, or more, or maybe less. Only this: we don’t know as much as we think we do. We don’t know how many cervical vertebrae Diplodocus and Giraffatitan had, even. We don’t have complete necks for either of these sauropods, nor for almost any others. Even those we do have are in some cases badly crushed (e.g. Mamenchisaurus hochuanensis, which I must post about properly some time). To summarise: we are woefully short of sauropod necks. 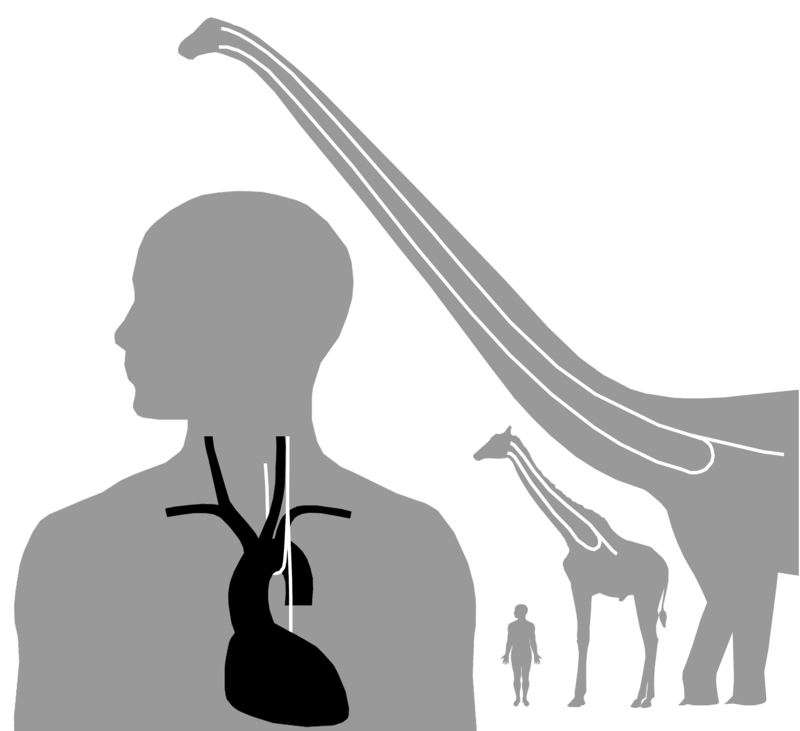 We need to get out of the habit of blithely asserting, “oh, Diplodocus had 15 cervicals and Giraffatitan only 13″. Because we really don’t know this. We think it’s true: these numbers are certainly the best guesses for the taxa in question. But they are, in the end, only guesses. Gilmore, Charles W. 1925. A nearly complete articulated skeleton of Camarasaurus, a saurischian dinosaur from the Dinosaur National Monument, Utah. Memoirs of the Carnegie Museum 10:347-384. Young, Chung-Chien, and X. Zhao. 1972. [Chinese title. Paper is a description of the type material of Mamenchisaurus hochuanensis]. Institute of Vertebrate Paleontology and Paleoanthropology Monograph Series I, 8:1-30. Zhang Y., Yang D. and Peng G. 1984. 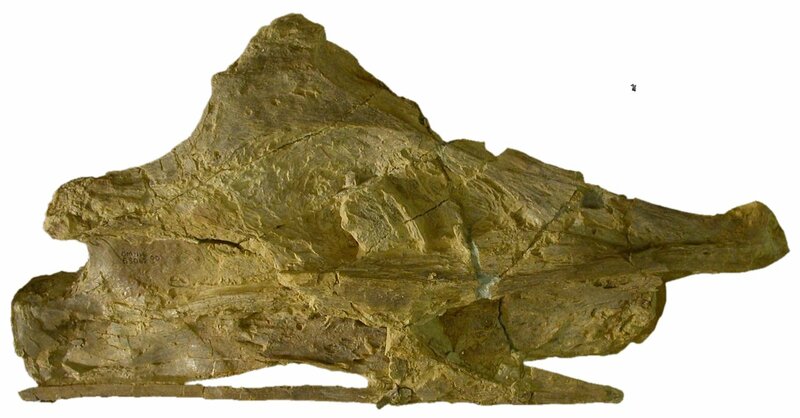 New materials of Shunosaurus from Middle Jurassic of Dashanpu, Zigong, Sichuan, Journal of Chengdu College of Geology (suppl. 2):1-12. Why did sauropods have such long necks? It’s the single most obvious and important question about sauropods, so it’s a bit surprising to think that we’ve never really addressed this question directly. Maybe sauropod necks are so obvious and familiar that we just take them for granted, and move straight on to questions of how they were able to grow so long and remain workable. Well, let’s fix that. Let’s think about why they had such long necks. What were they for? What were sauropods doing with their necks that was valuable enough to justify all that investment? Back in the good old days, everyone assumed that sauropod necks were all about high browsing. If you have a 9.5m neck, then of course you will use it to browse high up in trees — it’s intuitively obvious. But of course “intuitively obvious” is not the same thing as “true”. 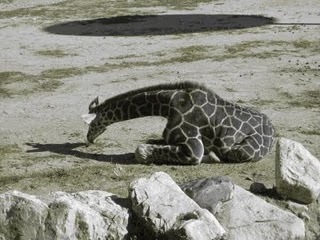 Then John Martin (1987) proposed that the long necks were used for low browsing — not raised above shoulder level, but swept back and forth to allow food to be gathered across a wide area without all that tedious mucking about with locomotion. This interpretation was of course endorsed by Stevens and Parrish (1999) in their DinoMorph work. There has been plenty written about habitual sauropod posture — including by us (Taylor et al. 2009). But actually the high-browsing and low-browsing explanations of sauropod neck elongation have much in common. 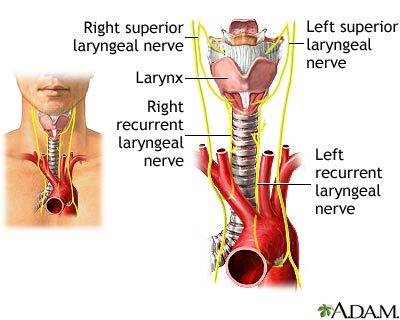 Most crucially, they both relate to enlarging the feeding envelope; more broadly they are both explanations that rely on the neck having a survival benefit. But Senter (2006) proposed a completely different explanation — that sauropod necks were sexual signals, selected not for survival advantage but for reproductive success. The idea is that female sauropods, being very shallow, would go for the males with the biggest protuberances. Are there other candidate explanations that I’ve missed? Or is it between high browsing, low browsing and sexual selection? Martin, John. 1987. 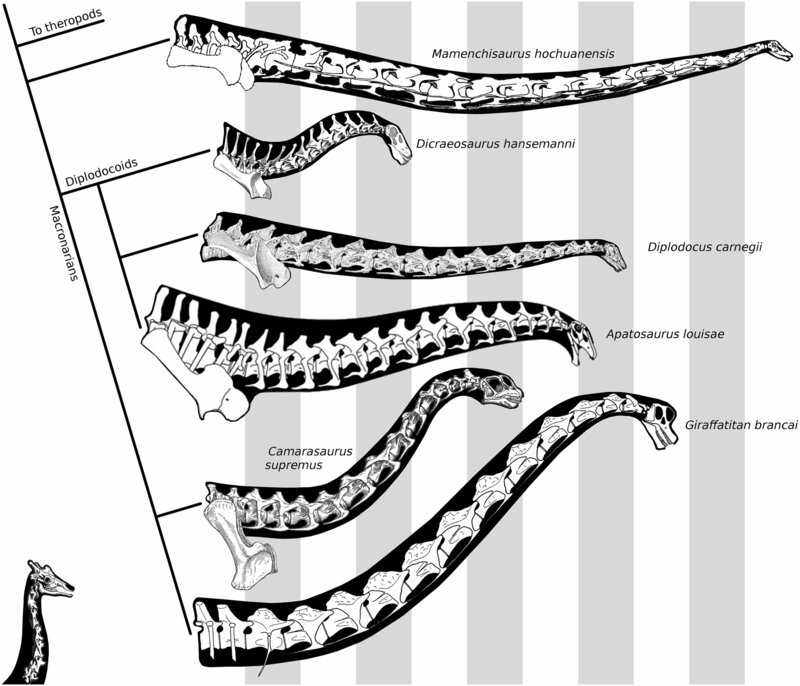 Mobility and feeding of Cetiosaurus (saurischia, sauropoda [sic]) – why the long neck? In Currie, P. J. & Koster, E. H.(eds) Fourth Symposium on Mesozoic Terrestrial Ecosystems, Short Papers. Boxtree Books (Drumheller, Alberta), pp. 154-159. The original type specimen, “Skelett S” (Janensch, 1914:86) was subsequently found (e.g., Janensch, 1929:8) to consist of two individuals, which were designated SI (the smaller) and SII (the larger and more complete). Janensch never explicitly designated these two specimens as a syntype series or nominated either specimen as a lectotype; I therefore propose HMN SII as the lectotype specimen of Brachiosaurus brancai. Once I’d been shown my mistake, I realised that the only thing to do was formally correct it in JVP, where the original article had been, so I sent them the shortest and most boring manuscript I’ve ever written (and it is up against some pretty stiff competition in the “most boring” category). And that manuscript was published today (Taylor 2011), fixing my dumb mistake. Many thanks to Mark for spotting this! Janensch, Werner. 1935-36. Die Schadel der Sauropoden Brachiosaurus, Barosaurus und Dicraeosaurus aus den Tendaguru-Schichten Deutsch-Ostafrikas. Palaeontographica 2 (Suppl. 7) 2:147-298. Taylor, Michael P. 2011. Correction: a re-evaluation of Brachiosaurus altithorax Riggs 1903 (Dinosauria, Sauropoda) and its generic separation from Giraffatitan brancai (Janensch 1914). 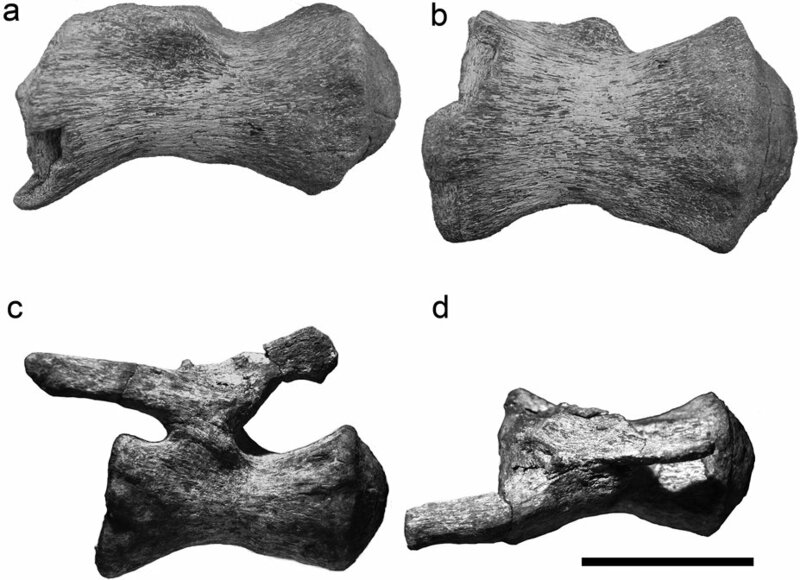 Journal of Vertebrae Paleontology 31(3):727. It’s been a couple of months since Brontomerus came out, but new coverage continues to trickle in. For anyone who’s still following, I thought I’d draw attention to a few that I particularly like. The most recent of the new articles is The biggest, baddest dinos still rule, in Macleans, which describes itself as “Canada’s only national weekly current affairs magazine”. I guess that makes it Canada’s Time or Newsweek, and it has 2.4 million readers. Despite the rather unpromising title, the article is good, and touches on some of the potential downsides of palaeo publicity. Another benefit of letting the world know about Brontomerus was that it opened the door to my writing an article for the Guardian‘s science blog: How I got to know thunder thighs, the dinosaur with a fearsome kick. They chose the title, sadly: I’d suggested something more like “How we know what we know”, and that is indeed that main topic of the article. It was a rare opportunity to talk in a mainstream media outlet about how we actually do palaeontology, and the varying levels of certainty in which we hold different conclusions. I hesitate to mention it, but the New York Times did a piece on, well, mostly me: Dinosaur-hunting hobbyist makes fresh tracks for paleontology. I’m mostly really happy with it, except that an unfortunate bit of abridgement gives the impression that I described Jack McIntosh as “a minor paleontologist”. Let the record show, that is not what I said: it’s actually how I described myself. Finally, I’d like to draw attention to a very cheerful interview that Australian science blogger Bec Crew did for ABC Radio’s Triple J channel, in a program called The Doctor on 8th March. Bec is best known for her truly unique blog Save your breath for running ponies, (I can’t help inserting the missing comma in the title), and my only regret regarding Brontomerus is that it’s never been given the SYBFRP treatment.